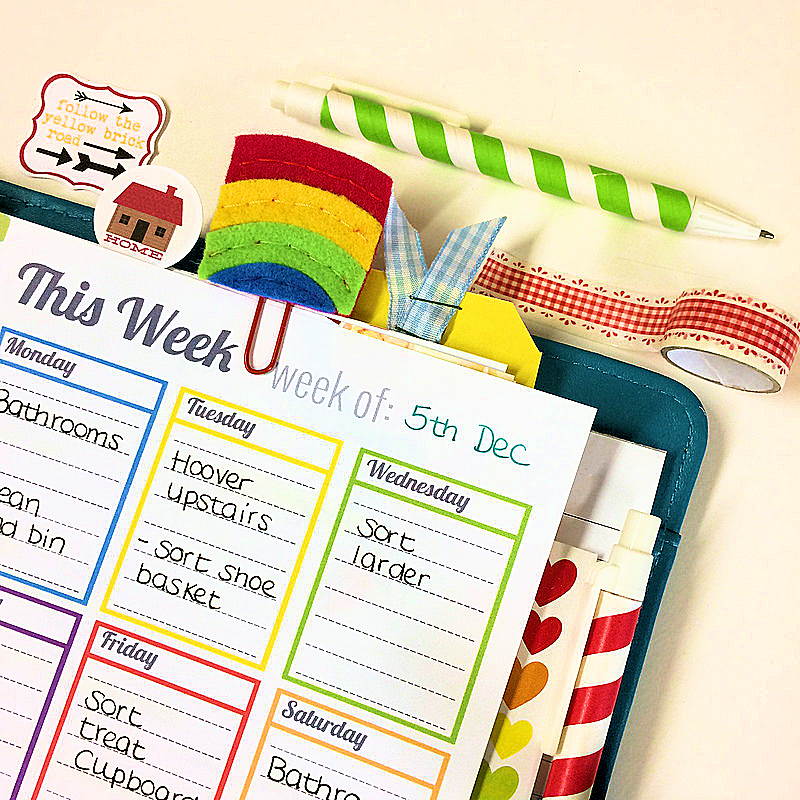 Getting organised leading up to Christmas – with a freebie! I like to get organised leading up to Christmas. It’s almost like the house needs a Spring clean for December. I just like things to feel clean and tidy for Christmas. So this year to help me get organised I have a new weekly planner that I am using. I have included one sheet in each of your December kits, but seeing as it’s Christmas, rather than just giving this as a freebie download to the subscribers, this month it’s free for everyone to use. You can download it here and use this code – dec16list – and you can print it off and use over and over. I will use one for each week leading up to Christmas. The idea is that these are extra chores on top of my regular every day house chores. I have a routine of prepping dinner when the kids have breakfast and vacuuming just before they leave for school around 8am. I quickly dust and mop downstairs every other day, wipe the bathrooms over and also as we have wooden stairs, I like to use a wipe to wipe each stair down quickly too. It’s surprising when you have no carpets, how dusty everything gets and you realise how much hair you shed too! So that’s my morning routine and I’m back at my desk between 8.45-9am. This is where this planning list comes in. I have set myself extra chores to do. If I write them all down in one long list, it just looks so over whelming and they just feel like so much effort to get done, But broken down like this it feels so much more manageable. Each day has a chore planned that alone won’t take too much time. 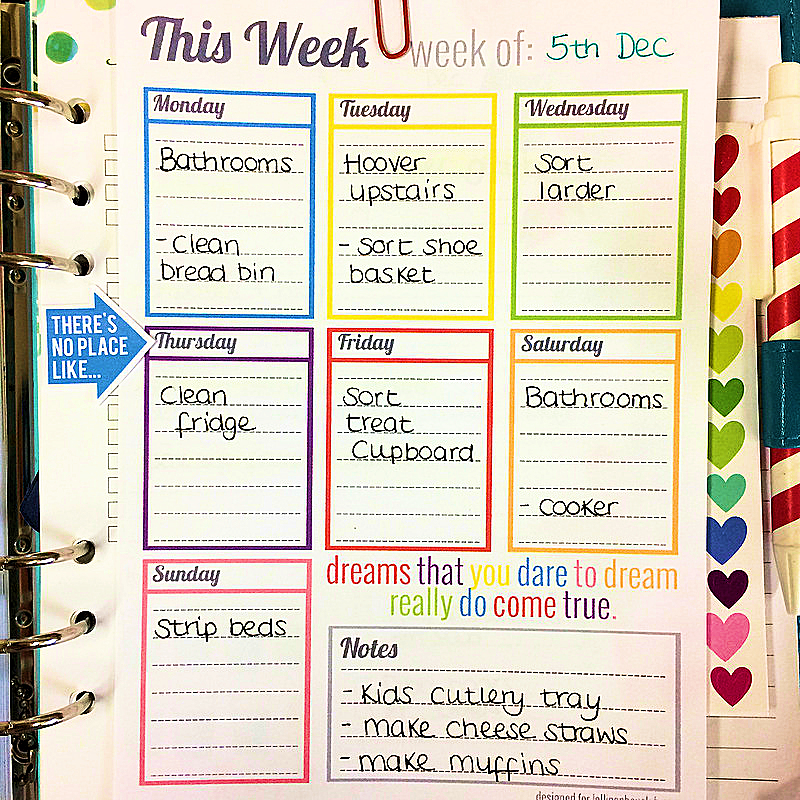 I have also added in deeper cleans for the bathrooms, a couple of things that the kids can do in the week and jobs like sorting the treat cupboard that I keep meaning to do. Having it in front of me like this I can schedule it in to my day and then tick it off. I shall do this each week now leading up to Christmas. And I love these pretty Christmassy kit colours in my planner this month. They are soooooo happy. I’ve used the rainbow felt clip and made some clips too from pieces in this months kit. It’s happy happy happy looking!! These happy happy kit are for sale here. 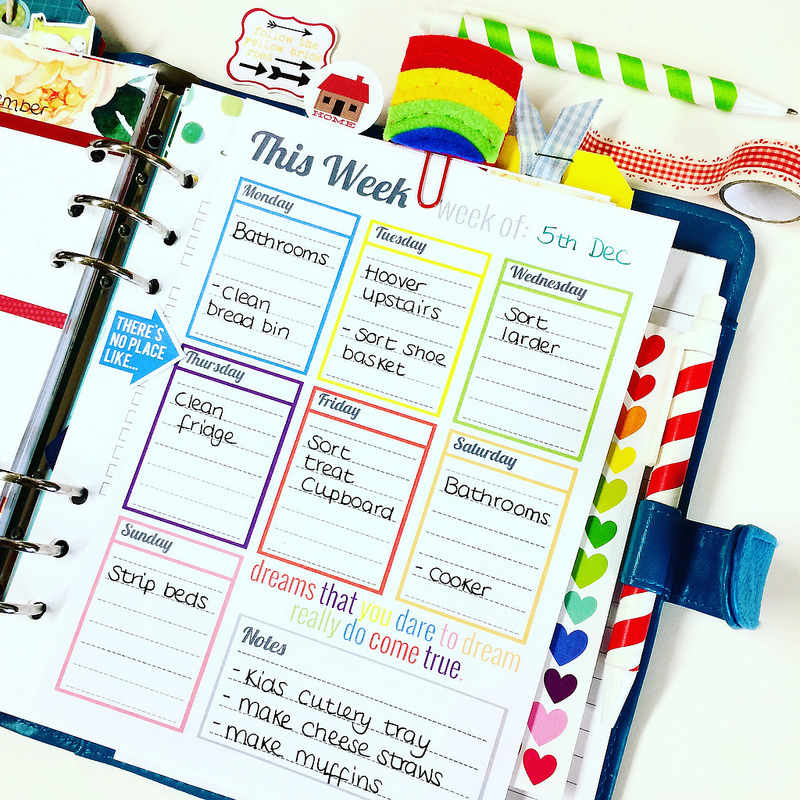 I hope this weekly planner will make your life easier too leading up to Christmas. Please do share how you use your’s and also if you have any organising tips yourself.